Redring® is equally suited for hunting and sport shooting. It is designed for Over/Under, and Semi-automatic shotguns with a rib width ranging from 5 to 11.5 mm. 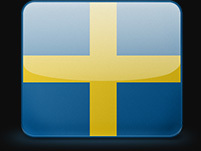 Redring® is designed, developed and manufactured in Sweden to the highest standards without compromise. It is so well designed that once mounted on the gun, it’s ready to shoot without sight-in or calibration. 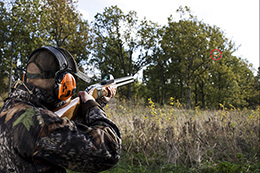 With Redring® on the gun, many of the most common shooting problems have been solved. 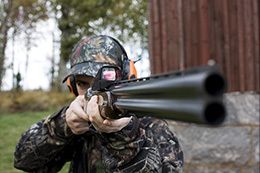 The result – safer, more enjoyable and controlled shooting. The ring gives the shooter perfect aim and indicates when it’s safe to shoot and when it’s not. When the target looks right in relation to the ring, that’s when it’s time to shoot. The result is greater accuracy, more fun and more reliable hunting. A sure hit! Redring® comes complete with recoil absorbing mounts for over/under and semi automatic shotguns with a rib widht ranging from 5 to 11.5 mm. The Redring requires very little care taking. If the lens becomes dirty the Redring can be washed using running fresh water. Let it dry turned upside down. If a clean cloth is used the lens must be thoroughly rinsed before gentle cleaning with the cloth. The lens could be scratched if dirt is pulled along its surface.